West African Elder, world-renowned author and teacher, as representative of his village in Burkina Faso, West Africa, has come to the west to share the ancient wisdom and practices which have supported his people for thousands of years. "It is possible that we have been brought together at this time because we have profound truths to teach each other. Toward that end, I offer the wisdom of the African ancestors so that Westerners might find the deep healing they seek. The spark of this ancestral flame, which I have brought to the land of the stranger, is now burning brightly. Increasingly, I have been and will be encouraging westerners to embody these traditions as a testimony to the indigenous capacity to assert itself with dignity in the face of modernity. In this way the ancestors will know that this medicine has found a true home- that it is more than an honored guest. At this critical time in history, the earth’s people are awakening to a deep need for global healing. African wisdom, so long held secret, is being called on to provide tools to enable us to move into a more peaceful and empowered way of being, both within ourselves, and within our communities. Before his birth, in 1956, the elders of Malidoma’s village knew that his purpose in coming into this world was to carry the message of indigenous technology and spirituality to the western world, a place where modernity was growing increasingly hungry for a reconnection to ancient wisdom. Little did he know, as a young child, stolen from his family and village, that the years he would spend under the harsh tutelage of the religious order would prepare the way for the eventual challenge of integrating old and new, the sacred and the mundane. For more than twenty years, Malidoma Somé has shared the Wisdom of his Ancestors and tribal Elders: the Dagara Cosmology, awakening a deep knowing in the hearts and bones of those who have recognized in his name, his books, his voice, the Spirit world inviting the renewal of a deep and abiding relationship with all beings on Earth. 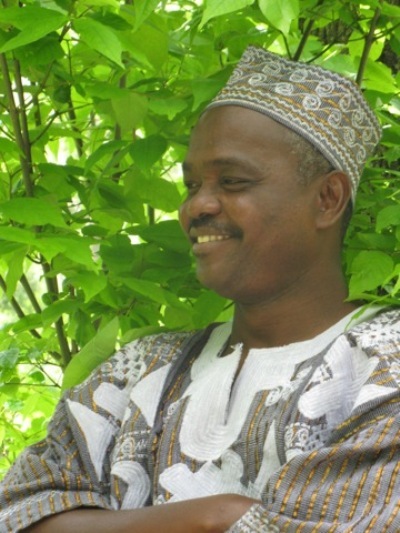 Malidoma is the author of several books, including Ritual: Power, Healing and Community, Of Water and The Spirit, and The Healing Wisdom of Africa. Dr. Somé holds three Master's degrees and two doctorates from the Sorbonne and Brandeis University. He is an initiated elder in his village in Dano, Burkina Faso, W. Africa.